Preheat oven to 140°C. 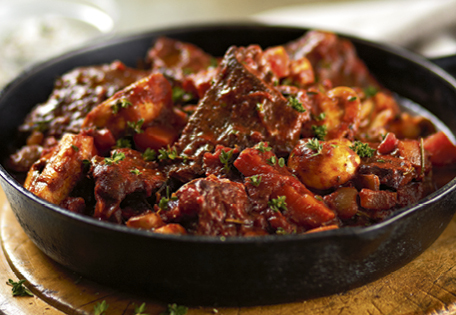 Cut lamb into large chunks. In batches, brown the lamb in a frypan with oil over medium heat, then remove and set aside. In the same pan, cook onion and carrot until soft. Return lamb to pan with wine, tomatoes, sugar, rosemary and thyme and bring to the boil. Transfer all ingredients to a casserole dish, cover with foil and roast in the oven for 1 hour 30 mins. Stir in the champignons and serve.